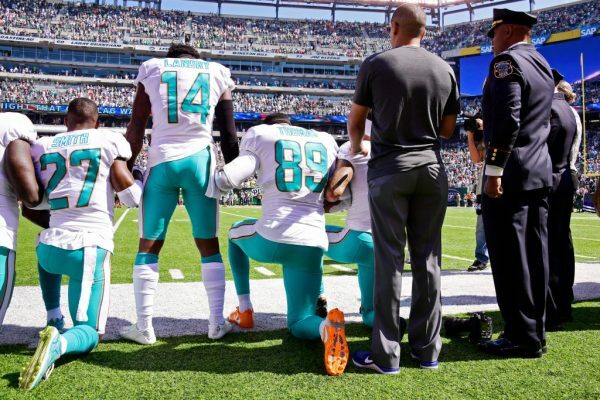 The NFL’s reputation continues to sink after more than 200 players recently knelt during the national anthem in protest. A new poll reveals that the favorability ratings of the NFL among President Donald Trump supporters were nearly cut in half. Morning Consult, (a nonpartisan digital media research company founded in Washington, D.C) conducted the survey. The results don’t look promising for the league. According to the data from Morning Consult released to The Daily Caller, the NFL’s dropped to its “lowest point” since the survey company started tracking it. “The NFL’s net favorability has dropped from 30% on September 21 to 17% on September 28,” the statement said. 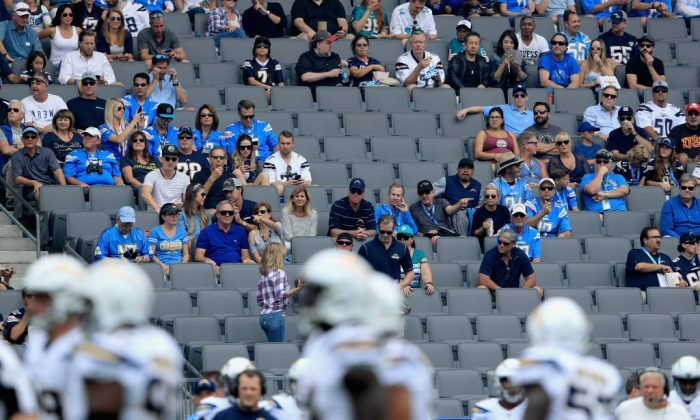 The large drop from 30 percent to 17 percent in only a week should be a worrisome statistic for the NFL’s executives. Back on Sept. 21, 25% of Trump supporters said they had a very favorable view of the NFL and 11% had a very unfavorable view. But as of Sept. 28, those numbers changed greatly, with 33% of Trump supporters saying they have a very unfavorable view of the NFL and 16% report having a very favorable view, according to the Morning Consult survey. 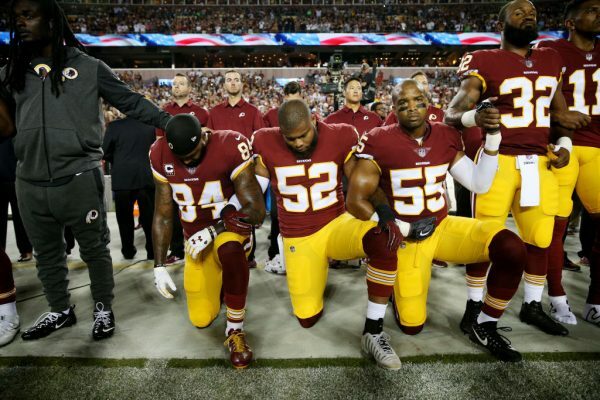 Increased political activism in what should just be a sports game is turning off not just Trump supporters but many other fans of the NFL as ratings, seats, and profitability recently plunged for the league. CBS, ESPN, Fox, and NBC could take a $200 million loss to their estimated $2.5 billion in NFL advertising earnings if NFL game ratings keep dropping. The Hollywood Reporter, citing Jefferies analyst John Janedis, suggested the potential loss amounts to a 10 percent shortfall. Wall Street, the report stated, is also taking notice of the NFL ratings drop—namely that there are fewer excuses for falling viewership compared to a year ago when Donald Trump and Hillary Clinton were campaigning for president. Ratings on the NFL opening weekend had slid 12 percent over last year’s opener, which was attributed to the recent coverage of hurricanes. However, the second weekend showed a 15 percent drop in viewership, THR reported. It comes after an 8 percent overall ratings slump. It doesn’t just mean a fall in ad revenue, but a fall in stock prices at the networks, analysts say. The NFL is still the biggest draw on TV. There’s been much speculation as to why ratings are down: relatively poor play, poor quarterback play, poor offensive line play, too many penalties, and players’ political protests that were sparked by ex-49ers quarterback Colin Kaepernick.